CTEK, specialist in battery management solutions, offers advice on the smart approach to battery management. 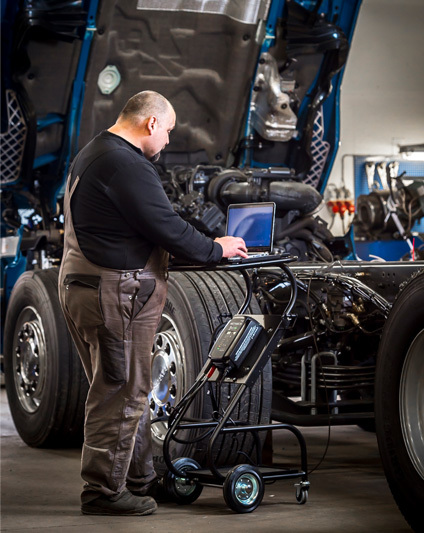 CTEK estimates that as many as one-in-three commercial vehicles entering the workshop has a battery requiring attention, with this figure rising to nearly 50% for those vehicles that make frequent stops, such as buses and delivery trucks. Battery replacements are costly and battery related failures waste time, resource and can affect a company’s profit and reputation. Workshops need to ensure that batteries are kept above 12.4V at all times to protect against the risk of sulphation. This occurs when the battery is left undercharged (below 12.4V) and the electrolyte solution begins to break down, converting into lead sulphate crystals that coat the battery plates, reducing the battery’s ability to accept and hold a charge. CVs making frequent drops are more susceptible to battery failure. Every time the vehicle is started, amperage is drawn from each battery and if the next stop is a short distance away, the alternator won’t have the time or capability to fully charge the battery. In a single day a CV could stop and restart in excess of 30 times, which means the charge within the battery will gradually decrease, placing it at risk of sulphation or failure. It’s a myth that the alternator can bring the battery up to maximum capacity and the short journeys often undertaken mean that the alternator is constantly working flat out, with no hope of even coming close to charging the battery. The fitment of idle control to modern CVs is a double-edged sword. Whilst it will reduce the carbon footprint and save on fuel, it has a massive impact on the battery workload. With this device fitted, a CV’s engine has to regularly stop and restart. What’s more, consider the extra loads, such as communication equipment, tracking devices, etc. One way to maintain batteries in a 24V series is to charge each 12V battery individually. The reason for this is that over time the two batteries become ‘out of balance’ with one battery at the front of the circuit absorbing all the loads placed on it, and the second battery leading a slightly easier life. This leads to an imbalance between the two batteries, which has two principal consequences. First of all, maintaining an efficient battery management process becomes more difficult. And second, it could also result in the two batteries failing to work in unison. The individual testing of each battery to establish a clear picture of battery health and the use of two 12V chargers (like the CTEK PRO25SE) will restore battery balance and bring each battery back to its full capacity. 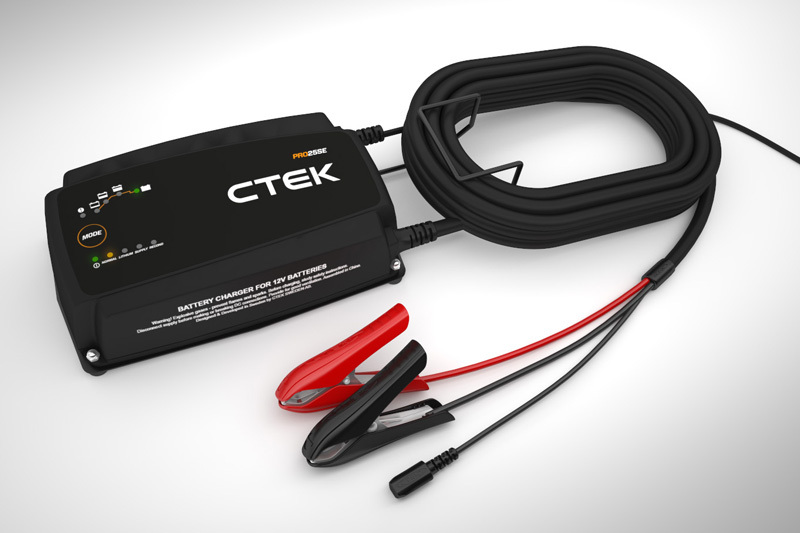 For further information on CTEK chargers and accessories, click here.